Five blissful days, paddles lapping the water and feet walking to their own beat! Kayak to Onetahuti and then enjoy the solitude of the Northern end of the park. Spend three blissful days kayaking North to Onetahuti. Your first few days will be filled with the sound of paddle strokes, marine life and your eyes will feast upon golden beaches and turquoise waters. Our briefing allows you to make the most of your three days on the water highlighting all the special spots to explore and places to stop. After three days on the water we pick up your kayak and you head on foot to the Northern part of the park. This section of track is blessed with lush native forests and big stands of Nikau and Southern Rata. It is a lot quieter up here and we recommend staying at what we consider some of the best campsites in the park (see below for recommendations). You can walk as far as Separation Point, see Golden Bay and the top of the park before heading back to Totaranaui on the last day where the Water Taxi will take you back to Marahau for a well earned hot shower. 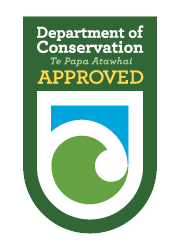 Recommended campsites: Night 1: Te Pukatea Bay or Anchorage. Night 2: Bark Bay or Mosquito Bay. Night 3: Onetahuti. Night 4: Anapai Bay. Campsites included in price which we book on your behalf. Have the time to enjoy the park at your own pace. Paddle one way to the Marine Reserve. Walk to Separation Point the Northern part of the park. Experience the solitude of the beaches past Totaranui. Return via Water Taxi from Totaranui to Marahau. Enjoy our base facilities on completion of your trip.